With Kratos coming out retirement for the masses this Friday, Shacknews takes a look back at our review and puts it side-by-side with reviews from some of our colleagues in the gaming world. On Friday, Kratos takes up arms once again. He's a lot older than he was the last time anyone saw him, he seems to have settled into a new life. But don't let his seemingly peaceful surroundings fool you. He's still Kratos and he's still a dangerous warrior, especially when wrestling with the prospect of fatherhood. Shacknews has weighed in on the new God of War, but how do the rest of our peers feel about Kratos' return from retirement? On the eve of the game's arrival, we revisit our own review and place it alongside some of our gaming brethren to paint a better picture of what players can expect. Shacknews 9/10: "God of War was never the deepest experience, especially with what feels like limited enemy types. But the PlayStation 4 makes up for this in spades with an incredibly vast world and a heartwarming story. Beyond Kratos and Atreus, the game is filled with some surprisingly lovable characters. On top of that, finishing the main story doesn't truly feel like the end. While previous games made it feel like treading old territory to find everything, the post-game in this God of War makes it feel like the world has truly opened up. "God of War feels like a breath of fresh air, thanks to a reimagined world and some deeper customization features. But at the root of the game is the classic God of War combat, slightly less gory but only slightly less grisly. Tearing monsters apart bare-handed is just as much of a rush as it ever was. And that's good, because even if it's time to grow up, it's okay not to change too much." Giant Bomb 5/5: "I was excited for a new take on God of War, but I don’t think I could have expected what Sony Santa Monica pulled off with this one. Those first three games are among my favorite games of the 2000s thanks to their visceral combat, stunning environments, grand scale, satisfying upgrades, and memorable boss fights. I even loved the skin deep, silly nature of its narrative and violence. This new entry proves that it can provide all of the positive qualities of the franchise’s past while expanding on and evolving them in every conceivable way. The new combat system is excellent, the numerous puzzles are clever and rewarding, a more open format gives you plenty of reason to explore, and the entire adventure is at least three times longer than any of the original games without ever feeling padded out. "Perhaps most importantly, I didn’t know how much more ground could be covered with Kratos as a character. 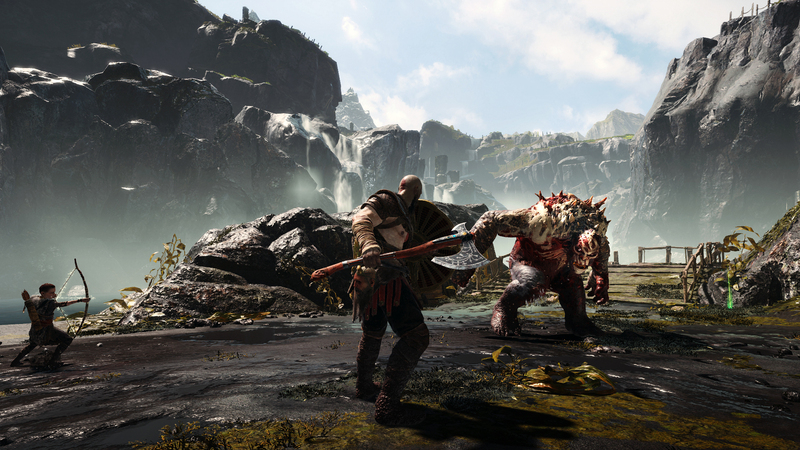 The new Nordic mythology obviously gives Sony Santa Monica plenty of new material to play with, but it’s the new Kratos that’s responsible for the game’s most striking evolution. I’ve played through five God of War games as this character, and never saw him as much more than “the tough screamy guy that’s gonna kill all these gods in hilarious ways.” Now, I find myself just as invested in the quiet conversations Kratos has with Atreus as I do with my newest weapon upgrade. God of War grew up, and the result is the best entry in the series." US Gamer 5/5: "God of War starts "new" and finds it footing before it begins to blend in the "old". And it works. By the time everything finishes up, Sony Santa Monica has set God of War on a new path. It's a strong one that hints at further adventures in other places, even if players won't be going there anytime soon. When God of War: Ascension dropped, the series felt trapped in what came before, but with God of War 2018, the possibilities seem endless. "And that's how you make a reboot work." Digital Trends 9/10: "God of War balances storytelling and combat-heavy gameplay better than any other game of its type. The constant interplay between its emotional journey and its ragged, demanding combat draws you in and forces you engage with both elements in a way that brings new meaning to both. It’s a true blockbuster that’s sure to impress both long-time franchise fans and newcomers." Easy Allies 5/5: "God of War doesn’t just feel like the next step for the franchise, but for the entire video game industry. Phenomenal visuals, rewarding exploration, and a deep, nuanced combat system contribute to an epic adventure that should be experienced by every human on earth. Santa Monica Studio is taking us all to Valhalla." IGN 10/10: "I expected great action from God of War, and it delivers that handily. But I didn’t expect it to be a thrilling journey in which every aspect of it complements the others to form what is nothing short of a masterpiece. 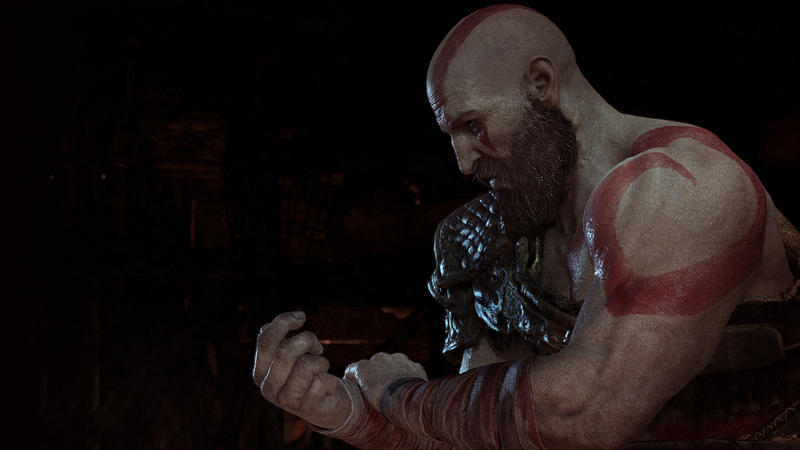 It’s a game in which Kratos, a previously one-note character, becomes a complex father, warrior, and monster, embattled both on the field and within his own heart about how to treat his son; one in which the world opens up and shifts, offering rewards in both gameplay and knowledge of its lore that I treasured with each accomplishment. The obvious care that went into crafting its world, characters, and gameplay delivers by far the most stirring and memorable game in the series." God of War releases on PlayStation 4 this Friday, April 20.